Rollover IRAs have some unique qualities. You can move any amount into your account, provided you’re moving it from an employer sponsored retirement plan or another IRA. You’re not limited to the annual ceiling on traditional and Roth IRA contributions. 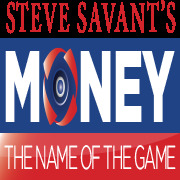 Watch part 3 Using a Rollover IRA from the series Saving for Retirement in Your Working Years with syndicated financial columnist and talk show host Steve Savant. You may be able to move rollover IRA assets into a new employer’s plan if the plan accepts rollovers. While some plans may accept any IRA assets, it’s smart to keep your employer plan rollover in its own account to avoid any possible roadblocks. The financial institution where you open your rollover IRA is the custodian of your account. As custodian, the institution is responsible for making the investments you authorize, keeping track of the paperwork, and reporting investment performance and account balances. But because most IRAs are self- directed, the custodian doesn’t make investment decisions on your behalf. Nor does it have fiduciary responsibility for the choice of investments you make. That means if you decide to put all your money into a risky investment, your IRA custodian isn’t responsible for advising against it. The same is true if you keep all your money in a low-interest savings account. and any earnings in your 401(k) or other qualified retirement account. But, if you’ve made any after-tax contributions to a traditional plan, you’ll have to take that amount as a cash distribution. You can’t roll it over. If you roll over an employer plan indirectly, which means you take a cash distribution and deposit it in an IRA within 60 days, your employer must withhold 20% of the total you ask to move. You must make up that amount from another source to maintain the tax- deferred status of that part of the rollover. Any amount you don’t deposit is considered a taxable withdrawal. There’s no withholding on a direct rollover, which usually makes it the preferable alternative. Your custodian may charge an annual fee for handling your account—often as little as $10 a year, and rarely more than $50. And if your account balance reaches a certain amount, which the custodian sets, the annual fee may be dropped.